High Quality stretch wrapping equipment with a wide selection of Pallet Wrapping Machine. Our quality pallet wrapping machine had designed for reducing the overall packaging cost, labor, time also easy to operate and maintain. 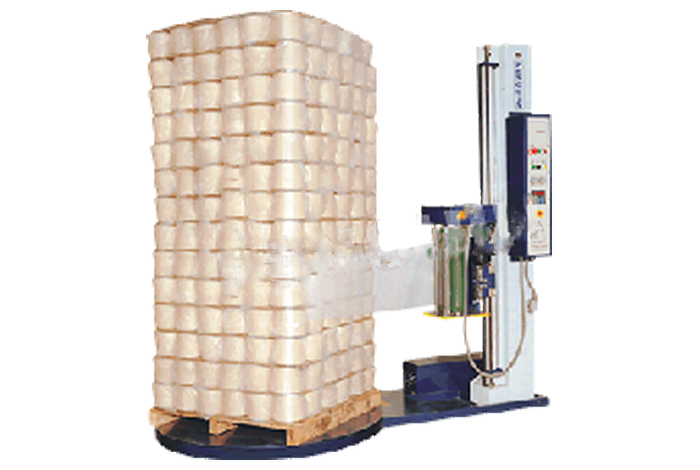 Pallet Wrapping Machine gives stability to product and works for heavy duty requirements. It is also capable of processing products of different lengths and diameters as per the client’s requirements.